4 Tips to a Great Morning Routine as told by a Terrible TWOddler's Mom! Some mornings I just cant get myself to wake up in the morning if my daughter isn't up. I feel like that's precious sleep I'll miss out on! Then again, when I became pregnant I "signed" the invisible contract that stated I wouldn't sleep great again for another 18 years. Time to set up the next best thing... A morning routine with McCafé. 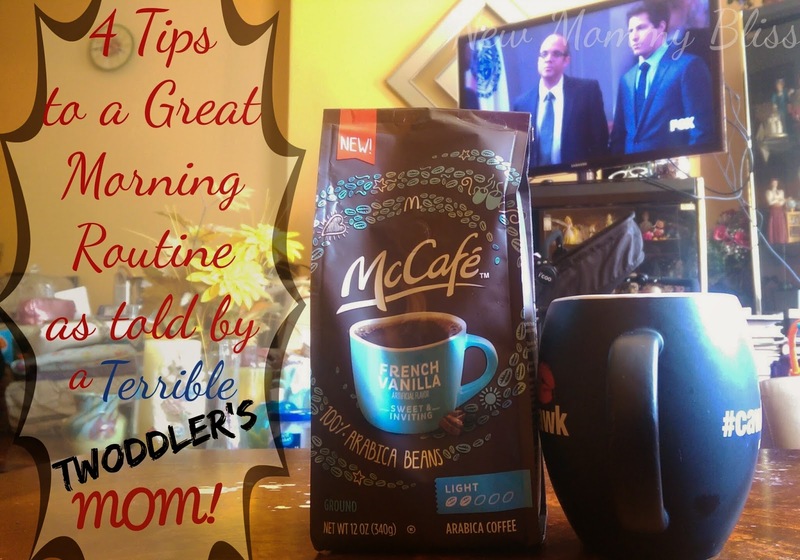 Here are 4 Tips to a better morning as told by a mom of a terrible TWOddler! The best thing to do is wake up an hour before your kids. It may be the only time of the day where you'll get to enjoy some Mommy Time. Use this hour to make and enjoy a delicious cup of McCafé coffee. My Go-To flavor is the French Vanilla, but there are 8 total McCafé flavors to choose from. Each one comes in either Premium bags or coffee pods. 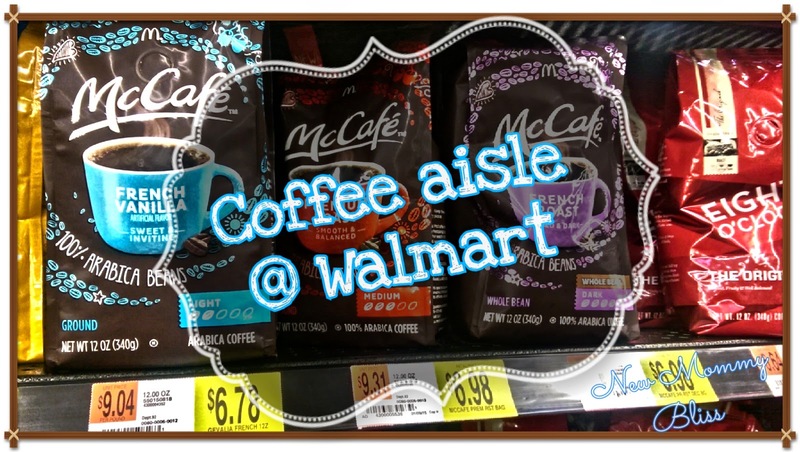 Made with 100% Arabica Beans and readily available in the coffee section at Walmart! For the remainder of the 10-15 minutes left, Take the last sips of your McCafé coffee and pull out their outfits. I am not a night before mom. I just can't be. My daughter is extremely active and I always say I have to do this and that, but once she's asleep I'm asleep. I'm pretty sure you know what outfits they have already so do what I do and visually put outfits together. It saves me so much time and being that I know where the pieces of clothing are, it won't take me more than a few seconds to grab it. My Terrible TWOddler is just so much to handle that doing the night before routine won't work for us. 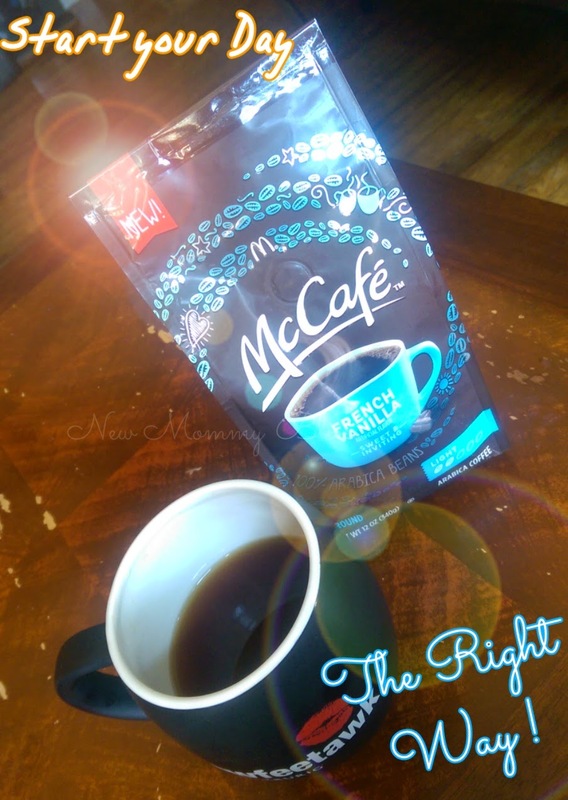 If your in the same boat as me, then maybe my 4 Tips to a Great Morning Routine with McCafé will work for you! What are a few Morning routine tips that you follow? Share your tips with me in the comments below! I very much try to pack lunches the night before if I can! That's my best timesaver tip for the morning. Otherwise it's a race to get out the door in time! Your good - I usually scramble around trying to get the oldest off to school and then afterwards, I can sit down and have my few minutes while the younger one plays. Great read! Thanks! It always helps me to plan ahead. Things can get hectic in the morning so I try to get clothes picked out and lunches made the night before. Coffee is the best thing to pack for busy mornings. I want to try this coffee. I wish I liked coffee :( My terrible TWOddler is just not a morning person so it is better if I just get her settled and then wake myself up! hehe! My trick is to do as much the night before as possible. It definitely helps! Yes sounds great! If we have anywhere go be the next day I do most of the stuff the night before. Makes for much smoother mornings! I try hard to do things the night before after they're in bed or while they finish eating dinner. It keeps life simpler in the morning since there's not much time as it is even with waking up between 4:30 and 5:30 depending on the day. Good tips! I'm with you on doing as much as possible the night before. Picking out clothing saves SO much time! I think doing things the night before is critical in our house. Otherwise I'm a zombie! So glad they are now selling McCafe coffee in stores! McDonald's has some of the best coffee blends around. Your advice is so right on the money. I loved reading the comments, too. Love the bag in your photo! I've seen it and seriously thought about getting it before for my terrible two-ddler. I always have to pack things the night before or I'm just too out of it to get out of the door and moving! I've to try McCafe too.. my day starts only after a good cup coffee..
We try to get the kids started thinking about the morning routine the night before with laying out clothes, packing bags. But, I totally love to get up a little earlier and have at least 30 minutes to myself (with a cup of coffee or two) before the house is up and running! 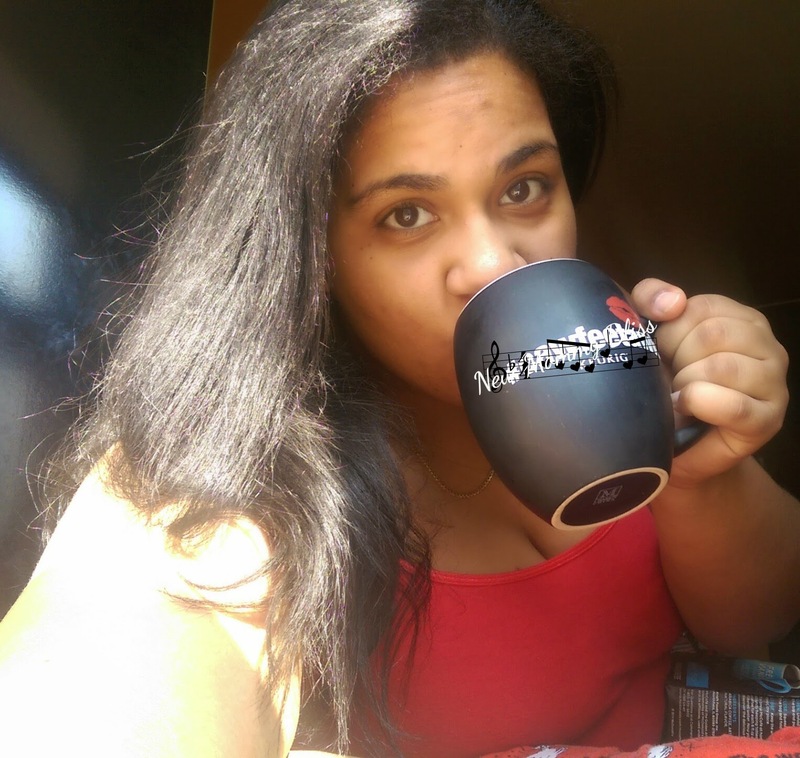 I'm not a coffee drinker, but I still need to get my mornings in order! Racing around like a crazy lady never helped anyone! I'm not a coffee drinker but some mornings I wish I was. I totally agree with you on waking up early... if I don't I never have any time to myself. Mornings are a mix of rushing and frustrations. It helps when I prepare at night.